From 2017/10/16-20 an Egyptian delegation has been visiting Bavaria. The members of the group were all leading professionals of companies, universities and associations working in the wastewater industry. 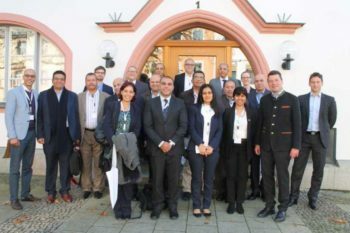 At the Landesanstalt für Umwelt in Hof a meeting between the Egyptian group and local companies has been arranged by the Kompetenznetzwerk Wasser und Energie. PPU Umwelttechnik, represented by its research engineer Dr.-Ing. Sabine Düreth-Joneck, took the chance to present its products for wastewater treatment. The Egyptian professionals appreciated the experience of PPU in domestic, municipal and industrial wastewater treatment. Especially the references concerning treatment plants realised in Egypt by PPU together with its Egyptian partner Purichem evoked interest for further cooperation.